I work for the Volcano Disaster Assistance Program (VDAP), a partnership between the USGS and the Office of U.S. Foreign Disaster Assistance (OFDA) of the U.S. Agency for International Development (USAID). My job is multifaceted and involves crises response, research, teaching, monitoring, and hazards communication and outreach. My research focuses on image analysis techniques to monitor active volcanoes. I utilize various platforms, from Unmanned Aircraft Systems (UAS) “drones” to helicopters to satellites to acquire images and a technique called photogrammetry to create high-resolution topographic models of volcanoes. During eruptions I create successive models to measure volumes and effusion rates of lava domes and flows for hazard mitigation and scientific investigation. I am the primary data analyst for VDAP’s International Volcano Activity Notification System (IVANS) where I prepare synoptic hazard analyses of developing volcanic unrest and eruptions and communicate information to government officials and international aid agencies through situation reports. 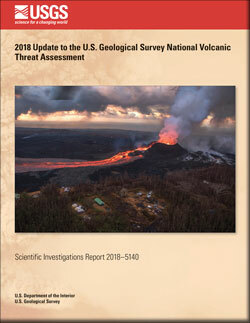 I also work with partner observatories to develop frameworks for monitoring, mapping, and mitigation strategies through national-scale volcanic threat assessments. Additionally, I teach international workshops on photogrammetry and UAS techniques and for the Center for the Study of Active Volcanoes (CSAV) international training program. Schaefer, J.R., Bull, K., Cameron, C., Coombs, M., Diefenbach, A., Lopez, T., McNutt, S., Neal, C., Payne, A., Power, J., Schneider, D., Scott, W., Snedigar, S., Thompson, G., Wallace, K., Waythomas, C., Webley, P., and Werner, C. (2012). The 2009 eruption of Redoubt Volcano, Alaska: Alaska DGGS Report of Investigations 2011-5, 45 p.